Dubai: More than half of Dubai roads will soon be equipped with smart traffic management systems as the Roads and Transport Authority (RTA) pushes the paddle for the upgrade of road networks across the emirate. Work on the expansion of RTA’s Smart Traffic Systems Project, which is set to cover 60 per cent of Dubai roads, began last year and according to Mattar Al Tayer, Director-General and Chairman of the Board of Executive Directors of RTA, around a quarter of it has been completed. The project is designed to broaden the scope of the smart traffic systems, part of Dubai’s quest to become the smartest city worldwide. Touring the site of the new Traffic Control Centre at Al Barsha, which is central to the expansion of smart road systems, Al Tayer said that the upgrade will cut the accident detection time considerably, while ensuring quicker response to mishaps. The system, when completely implemented, will also reduce congestion on roads. It will also provide instant traffic information to the public about road conditions via new Variable Messaging Signs and smart apps, while enhancing the efficient management of traffic movement during major events, such as Expo 2020. Al Tayer was briefed about the progress of construction of the new control centre, which comprises four divisions: traffic control centre, two wings for support offices and the reception lounge connecting the four divisions. With a completion rate of 26 per cent, the structure of the building is ready and the cladding and electromechanical works have started. The road systems upgrade covers five main areas such as traffic monitoring and data capturing, information signs, civil works infrastructure, advanced central traffic system and the traffic control centre. The traffic monitoring and data capturing involves the installation of 116 cameras, 100 Radar Vehicle Detection Systems, 114 Bluetooth devices, and 17 Road Weather Information Systems. The information signs (dynamic messages) will see the installation of 112 signs providing instant information to drivers about road conditions. The civil works infrastructure covers laying of fibre optic lines, and electricity distribution network, spanning about 400 kilometres. The central traffic system supports decision-making, ensures an automatic response, and enables the integration with devices at the site as well as other traffic centres and operations. The final arm of the five-point upgrade is the building of the Traffic Control Centre featuring a state-of-the-art design of control rooms fitted with devices such as giant screens as well as user-friendly and efficient control systems for use by operators and engineers. 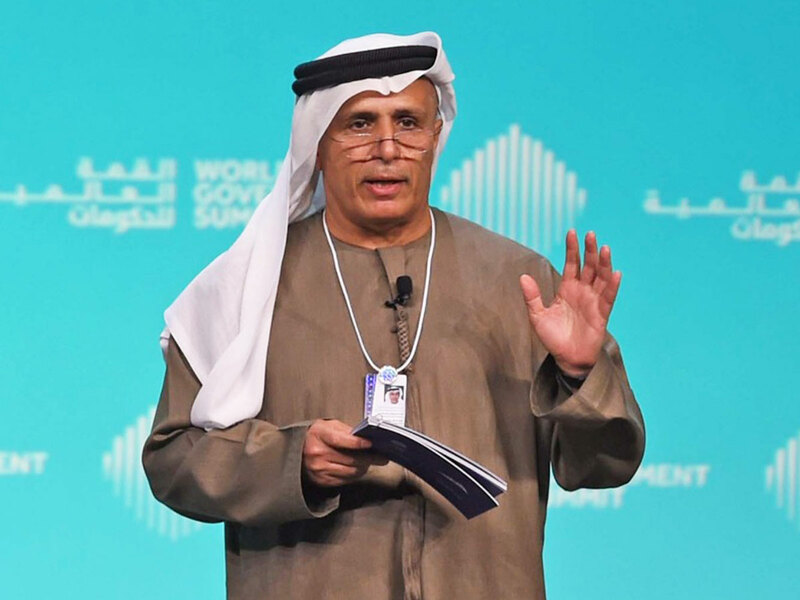 “Upon completion, the project will ease the management of traffic bottlenecks and accidents, enhance safety of road users, and ease personal mobility, thanks to the use of sophisticated technologies,” said Al Tayer.